Duration: 10:00 – 12:00 a.m.
Lino DiSalvo, former head of animation for Disney’s Frozen and director of the upcoming blockbuster Playmobil: The Movie, will provide a glimpse into the world of animation in this special event for schools. In his interactive presentation, DiSalvo will include making-of clips of some of his most-beloved animated characters to show students what being an animator really looks like. 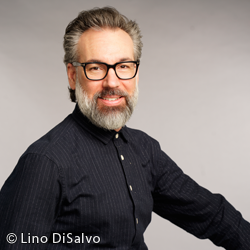 Lino DiSalvo is an American animator, film director, writer and voice actor. After graduating from Vancouver Film School he joined Walt Disney Animation Studios. Besides being supervising animator on Tangled and Bolt and animator on several other movies, DiSalvo served as Head of Animation on Frozen as well as Creative Director for Paramount Animation and ON Animation Studios. Playmobil: The Movie will mark his directorial debut.